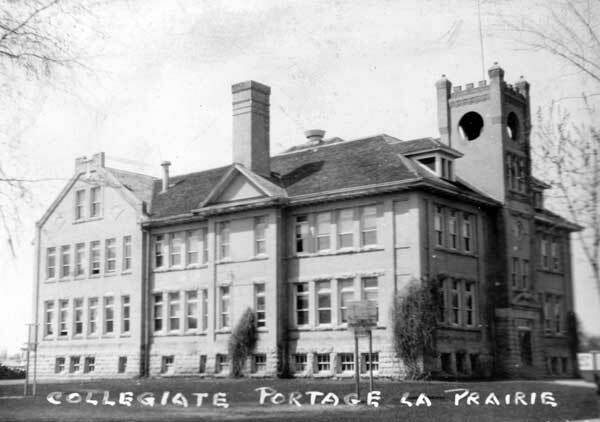 The cornerstone for the Portage Collegiate was laid in 1904 but the construction of the building was not completed until the next year. The eight-classroom brick structure was built by contractors F. G. Humber and W. J. Simmons at a cost of $21,400. Its five teachers, under the principalship of George Young, then assumed responsibility for the education of older children, formerly done at the Central School across the street. Over the years, eight more classrooms were added. 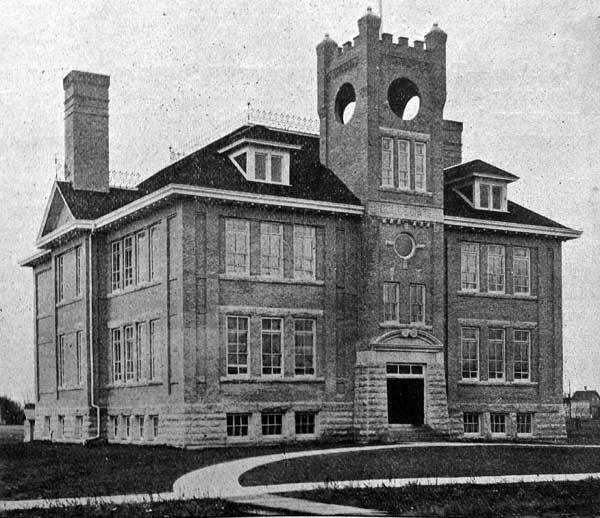 The building and all its contents were destroyed by fire in May 1954 and a replacement school was erected on the same site. Source: Education Department Report, 1905, Manitoba Legislative Library. “$355,000 blaze destroys collegiate at Portage,” Winnipeg Free Press, 27 May 1954, page 1. 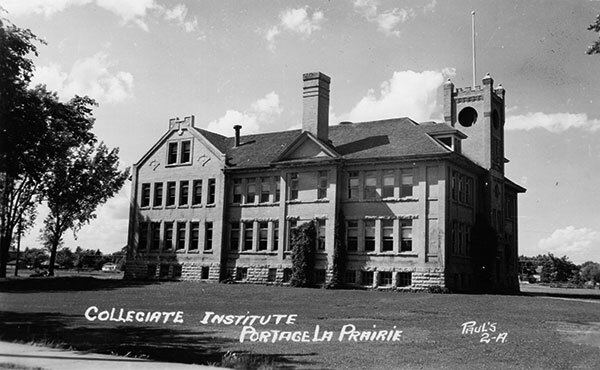 A History of Portage la Prairie and Surrounding District by Anne M. Collier, 1970, pages 146-7.